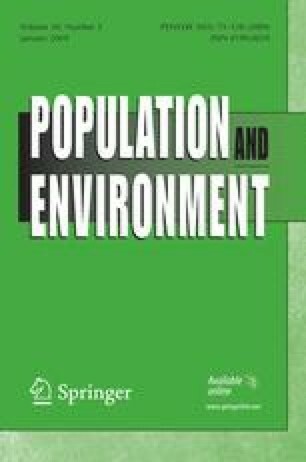 This qualitative study reveals how population pressures, land availability, inheritance norms, and educational opportunities intertwine to influence fertility decline in rural Kenya. Focus group discussions with men and women whose childbearing occurred both before and after the onset of rapid, unexpected fertility transition in Nyeri, Kenya allowed individuals who actually participated in, or witnessed, the fertility transition to “voice” their perceptions as to the mechanisms underlying the transition. Findings suggest that, since land inheritance is a cultural norm, land scarcity and diminishing farm size often influence fertility decision-making and behavior via preferences for fewer children. Further, education does not appear to be the driving cause of fertility behavior change, but rather is adopted as a substitute for land inheritance when land resources are scarce. These findings have implications for our understanding of fertility behavior as well as for improving predictions of fertility transition in other rural sub-Saharan African contexts. Partial support for this research was provided by a grant to the Penn State Population Research Institute from the William and Flora Hewlett Foundation, and core support to PRI from the National Institute of Child Health and Human Development (Grant No. 1 R24 HD41025). An earlier version of this article was presented at the 2005 annual meeting of the Population Association of America, Philadelphia, 31 March–2 April. The authors thank Gloria Chepngeno for assistance with the data analysis and the African Population and Health Research Center for their research support. Population and Reference Bureau (2008). 2008 World Population Data Sheet. Retrieved 2 January, 2009, from http://www.prb.org/pdf08/08WPDS_Eng.pdf.